Chardon St. Chapel, Boston, 1851. Courtesy of Wikimedia Commons. President – Joshua Perry (1788-1875). Vice President – Capt. Job Luther (1796-1865). Secretary – Universalist minister Rev. Dunbar Bruce Harris (1808-1890). Treasurer – Mary Barker (Oldham) Perry (1814-1899). Directors – Ambrose Josselyn (1812-1848), Universalist Society Deacon Willard Poole (1805-1892), Jeremiah Soper (1805-1885). They determined that meetings of the Hanson Anti-Slavery Society would be held at the Universalist Society church, located on the southeastern corner of the intersection of Whitman St. and East Washington St.
Universalist Church on 1856 Map of Hanson. Headquarters of the Hanson Anti-Slavery Society. See discussion of the Hanson Universalist Society at the Hanson MA USGenWeb. $1 from Mrs. Mary (Thomas) Perry (b. 1794). She was the wife of Hanson Anti-Slavery Society President Joshua Perry. $1 from Mrs. Mary Delano (Dwelley) Sprague (1799-1875). 50 cts. from Mrs. Abigail “Nabby” (Collamore) Cushing (1776-1843). 50 cts from Miss Rachel Cushing (1776-1857). 25 cts. from Mrs. Abigail “Nabby” (Phillips) Phillips (1798-1863). 50 cts from Mrs. Deborah (Turner) Soper (1769-1841). 5 cts. from Mrs. Deborah (Cushing) Howland (1800-1895). Wife of Rev. Freeman Parker Howland. 25 cts. from Mrs. Cushing. Probably either Ruth (Turner) Cushing (1774-1848) or Eliza (Cobb) Cushing (1802-1880). 25 cts. from Mrs. Judith (Stetson) Cook (1793-1841) . 5 cts. from Mrs. Sarah (Copeland) Beal (1797-1844). 25 cts. from Mrs. Sampson. Probably Chloe (Atherton) Sampson (1772-1852). 25 cts. from Mrs. Rebecca (Bowker) Macomber (1787-1883). 25 cts. from Mrs. Betsey (Macomber) Perry (1812-1904). 25 cts. from Mrs. Keen(in the 1840 Census, there were seven Keen families in Hanson); 25 cts. from Mrs. Barker (in the 1840 Census, there were nine Barker families in Hanson); 25 cts. from Mrs. Josselyn (in the 1840 Census, there were nineteen Josselyn families in Hanson); 5 cts from Miss –; 50 cts from a friend; 50 cts. from a friend; 12 1/2 cts. from a friend. On Sept. 27, 1839, the Hanson Anti-Slavery Society sent a letter to be published in The Liberator, announcing their formation and founding resolutions. FRIEND GARRISON: A new Anti-Slavery Society, auxiliary to the Massachusetts Anti-Slavery Society, has just completed its organization in this town. Previous to organizing, an interesting lecture was delivered to the people by Edwin Thompson. At two succeeding meetings the officers were chosen and resolutions discussed and adopted. The following is a list of the officers. Joshua Perry, Esq., President; Capt. Job Luther, Vice President; D. B. Harris, Secretary; Mary B. Perry, Treasurer; Ambrose Josselyn, Willard Poole, Jeremiah Soper, Directors. Resolved, That as Christians – as lovers of universal freedom – we cannot discharge faithfully our duty to God, to ourselves, and our fellow men, unless we put forth our unflinching efforts for the total and immediate abolition of American slavery, – but while we do this, we feel bound by the ties of our common nature, to labor for the promotion of harmony and peace in the community, when we can do this and not shrink from principle and duty. Resolved, That the most effectual way to increase the manufacturing interests at the north is to abolish slavery at the south. Resolved, That the success which has attended the cause of emancipation in this country, calls for debout gratitude to Almighty God, and should quicken our zeal and animate us to renewed exertions in behalf of the oppressed. Resolved, That the gospel minister who fails to bear his testimony against the sin of American slavery, and to urge the duty of remembering those in bonds as bound with them, is an unworthy follower of him who came to proclaim liberty to the captive – to break every yoke, and to let the oppressed go free. Resolved, That southern slavery is a sin of such enormous turpitude, of so vast extent, and is identified with so many selfish interests, that the most strenuous and undivided efforts of the north are required to effect its abolition. Resolved, That the public sentiment of the north sanctions and sustains southern slavery – and therefore every genuine friend of the slave should fearlessly array himself against this public sentiment, until it shall turn in favor of immediate emancipation. Voted, That these proceedings be published in the Liberator. JOSHUA PERRY, President. D. B. HARRIS, Secretary. The Liberator (Boston, Mass.) 7 June 1839, p. 3. “Receipts into the Treasury of the Massachusetts Anti-Slavery Society from 21st August to 26th August inclusive,” The Liberator (Boston, Mass.) 30 August 1839, p. 3. The Liberator (Boston, Mass.) 11 October 1839, p. 3. The Liberator (Boston, Mass.) 17 Dec. 1841, p. 3. The Liberator (Boston, Mass.) 21 October 1842, p. 3. This Memorial Day, a moment to honor the 27 men from Hanson who gave their lives during the Civil War. The first Hanson casualty was soldier Augustus F. Elmes, who died of typhoid fever while training on 25 October 1861. Hanson’s final casualty was Thomas Drake, who died at the prisoner of war camp in Andersonville, Ga. 14 March 1865. Read about the life and death of Thomas Drake here. Robert E. Lee surrendered less than a month later, on 9 April 1865. On this day in 1865, Hanson, Mass. Civil War soldier Thomas Drake died in the notorious Andersonville Prison in Georgia, a Confederate-operated Union prisoner of war camp. He was Hanson’s last Civil War casualty, with Confederate General Robert E. Lee surrendering less than a month later. Thomas Drake was born in East Bridgewater, Massachusetts on 16 May 1828, the son of Timothy and Polly (Beals) Drake. He was raised in East Bridgewater and moved to Hanson after his marriage. 25 year old Thomas Drake and 16 year old Mehitable P. Brown were married in East Bridgewater on 7 June 1853 by justice of peace Isaac Pratt. Mehitable was born in East Bridgewater on 31 June 1836, the daughter of David and Mehitable (Brown) Brown. Mehitable was seven months pregnant at the time of their marriage with their first child, Alice Drake. Alice Drake, b. East Bridgewater 11 August 1853; d. East Bridgewater 1946; m. Abington Mass. 1 May 1870 George W. Holmes. Samuel Drake, b. East Bridgewater 28 July 1855; d. Abington 22 July 1934 and bur. Mount Vernon Cemetery, Abington; m Abington 2 Oct. 1888 Mary Alice McKenney. Edith Drake, b. Hanson 22 January 1858; d. Franklin, Mass. 6 March 1888; m. Abington 20 October 1879 Fred D. Straffin. Thomas Drake, b. Hanson 30 March 1860; d. Hanson 1945; m. Lynn Mass 21 Feb 1883 Isabel Stanton. Timothy Drake, b. Hanson 5 March 1862; d. 1949 and buried in Mount Vernon Cemetery, Abington; m. 31 Dec 1885 Nellie G. Nash. Thomas Drake (26, shoemaker) was enumerated in the 1855 Massachusetts Census in East Bridgewater with wife Mehitable (19) and children Alice (3) and “Infant” Samuel (1). Thomas and Mehitable Drake family in East Bridgewater, Mass. in 1855 Census. 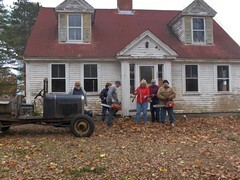 In 1857, the Drakes moved from East Bridgewater to a house on Brook St. in Hanson. History of Hanson Houses reported that Thomas and Mehitable (Brown) Drake lived in two houses across the street from each other on Brook St. during their marriage. Timothy Drake, the youngest son of Thomas and Mehitable (Brown) Drake, reported that sometime prior to his birth, his parents lived in a house on the south side of Brook Street owned in 1830 by J. Pratt . This is probably the house where their daughter Edith Drake was born in 1858. Timothy Drake reported that “all the [younger] Drake boys were born” in another house on the north side of Brook Street which had been owned in 1856 by Luther Howland. After Thomas Drake’s death and her remarriage, Mehitable (Brown) Drake Fuller sold the property to Jerome Shaw [Plymouth County Deeds, 462:215]. The two houses lived in by Thomas and Mehitable Drake on Brook St. can be seen here in this 1856 map of Hanson. The Drakes lived in the house marked J.S. Pratt ca 1857-1859, and lived in the house marked “L. Howland” circa 1860 until Mehitable’s remarriage in 1869. Thomas Drake (33, shoemaker) was enumerated in the 1860 Census in South Hanson, Mass. with wife Mehitable (24), and children Alice (7), Sam (5), Edith (2), and Thomas (4 months). Thomas and Mehitable Drake family in Hanson, Mass. in 1860 Census. South Hanson shoemaker Thomas Drake, aged 35, enlisted 2 January 1864 as a private in Company D of the Massachusetts 4th Calvary Regiment. He was one of Hanson’s later recruits in the war. Perhaps he delayed enlistment to tend to his homestead and support his young family. Thomas Drake fought at the Battle of Gainesville in Co. D, Mass. 4th Calvary under Capt. Joseph W. Morton on 17 August 1864 which took place in the town square in Gainesville, Florida. 342 Union soldiers under the command of Col. Andrew L. Harris were in the town that day, having just performed a grueling two day 50 mile march from Baldwin, Florida in the summer Florida heat. They were taken by surprise when a Confederate force under the command of Captain John Jackson Dickison attacked from the rear. Thomas Drake was captured by the Confederate forces during the battle. Birds-Eye View of Andersonville Prison. Courtesy of Wikipedia. Nearly a third of the Union soldiers who were imprisoned at Andersonville died. About 45,000 in total were imprisoned there, with almost 13,000 prisoners dying from disease and starvation. Phillip Hattle of 51st Pennsylvania Infantry who survived Andersonville Prison but died several months later. Courtesy of the National Park Service “Prisoner Photographs of Andersonville“. Thomas Drake was buried in Andersonville National Cemetery and was given a military-issued headstone. Gravestone of Thomas Drake at Andersonville National Cemetery. Photograph taken by and courtesy of Andersonville historian Kevin Frye, available on Thomas Drake’s FindAGrave entry. Mehitable (Brown) Drake was devasted when news reached her about the death of her husband, especially on the heels of the end of the Civil War. With five young children to support, she applied for a widow’s pension on 24 June 1865. On 25 August 1865, she was granted a pension of $8 a month, with back-pay starting at the date of Thomas’ death. On 25 July 1866, her pension was raised from $8 a month to $18 dollars a month, representing an increase of $2 per month per child of Thomas Drake. Mehitable Drake’s Civil War Widow’s Pension Application, on behalf of her husband Thomas Drake. The widowed Mehitable Drake (28) was enumerated in the 1865 Census in Hanson, Mass. with children Alice (11), Samuel (9), Edith (7), Thomas (5), and Timothy (3). She lived in a house with her parents David Brown (55, tackmaker) and Mehitable Brown (54, housekeeper) and brother Elias G. Brown (15, tackmaker). Widowed Mehitable Drake family in Hanson in the 1865 Census. Widow Mehitable P. Drake married the widowed Lucius Tisdale Fuller in Hanson on 28 November 1869 by Rev. B. Southworth at the Hanson Congregational Church. Lucius Fuller’s first wife Eliza B. (Pratt) Fuller had died of consumption in 1862, leaving him a widowed father to their children Ella M. Fuller (1852-1923) and Hiram T. Fuller (1858-1914). Lucius and Mehitable Fuller house in the 1879 Plymouth County atlas. In the 1870 Census, Lucius T. Fuller (47) was enumerated in Hanson with his wife Mehitable Fuller (34), daughter Ella M. Fuller (18), son Hiram T. Fuller (12), mother Patience B. Fuller (75), and step-daughter Edith Drake (13). In the 1880 Census, Lucius T. Fuller (53, shoemaker) was enumerated in Hanson with his wife Mehitable Fuller (44) and mother Patience Fuller (86). Lucius T. Fuller died at home of heart disease in Hanson on 5 November 1893 at the age of 71. In the 1900 Census, Mehitable P. Fuller (64) was enumerated in Hanson with a relative, Joseph Brown (17), and her grandson Charles A. Drake (17). Mehitable (Brown) Drake Fuller house on West Washington St., just north of the intersection with County Rd. and Holmes St. Labeled Mrs. N. [sic, M.] Fuller. From Richard’s 1903 map of Plymouth County, Mass. In the 1910 Census, Mehitable P. Fuller (74) resided on Washington St., Hanson with Joseph W. Brown (39). Mehitable’s Civil War widow’s pension was renewed in 1916 at a rate of $20 per month. In 1926, it was increased to $50 per month. In the 1920, Mehitable P. Fuller (83, widow) was enumerated on Washington St. in Hanson with her son Thomas Drake (59, real estate salesman). Four generations of Drake women in the 1920s, believed to be standing in front of the Fuller house on West Washington St. in Hanson. Left to right: Mehitable (Brown) Drake Fuller, Alice (Drake) Holmes (daughter of Thomas and Mehitable Drake and wife of George W. Holmes), Katherine (Fraser) Holmes (wife of George W. Holmes Jr., a son of George W. and Alice (Drake) Holmes). Bottom row: Eleanor Margaret Holmes (daughter of George W. and Katherine Holmes, granddaughter of George W. and Alice (Drake) Holmes and great-granddaughter of Thomas and Mehitable Drake). Photograph courtesy of Ally Smith, a descendant of Thomas and Mehitable (Brown) Drake. In the 1930 Census, Mehitable Fuller (93) resided on Washington St., Hanson with son Thomas Drake (70, furniture dealer) and daughter Alice Holmes (65). A few weeks before her 94th birthday, Mehitable P. (Brown) Drake Fuller died in her home on West Washington St. in Hanson on the morning of 4 June 1930 of chronic myocarditis and arterio-sclerosis and was buried in Fern Hill Cemetery, Hanson. Her son Thomas Drake was present at her death and he reported that her final Civil War pension check arrived in the late morning just after she had passed away – 65 years after the death of her husband Thomas Drake. The Fuller farmhouse on West Washington St. was later purchased by the Mullen family and named “Red Acres Farm”, who since 1955 have hosted an annual Red Acres Christmas Sing in Hanson which continues today. Red Acres Farm, home of Barzilla Fuller from 1825 and his son Lucius T. Fuller and his wives Eliza and Mehitable from 1852 until his death in 1893 and Lucius’ widow Mehitable (Brown) Drake Fuller until her death in 1930. Photograph Courtesy of Red Acres Farm Facebook. Special thanks to Drake descendant Ally Smith for wanting to learn more about her Civil War ancestor, and to Andersonville historian Kevin Frye for his assistance in accessing Thomas Drake’s Andersonville records. 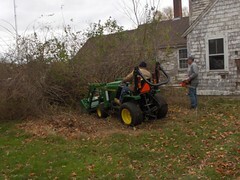 In the spring of 1804, 26 year old farmer and laborer John London Kelley struck a deal with Kilborn Whitman to rent the 21 acre Lindsay farm and orchard on Oldham Street in Pembroke. 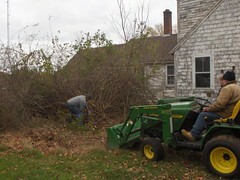 Whitman, recently retired from the Pembroke ministry and now a judge and lawyer, agreed that John London Kelley’s rent would total $30 for the year, consisting of $15 cash due at the end of the year, and $15 worth of farm labor on Whitman’s behalf during the summer. 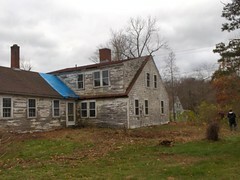 In 1804, John London Kelley and his wife Susannah Prince lived on the “Lindsay Farm” (the former homestead of Ephraim Lindsay/Lindsey) on Oldham St., Pembroke, Mass., which they rented from Kilborn Whitman. In the 1831 Map of Pembroke, African American/Mattakeeset Indian Martin Prince lived on the farm. Map courtesy of the Boston Public Library. Kilborn Whitman. 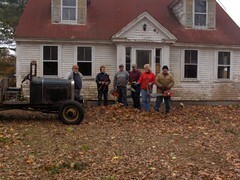 Image courtesy the Pembroke Historical Society. John London Kelley found the terms agreeable, and settled his new young family on the farm, including his common law wife, 19 year old Susannah Prince, and their infant daughter Sarah. John London Kelley was the son of former Bridgewater slave, Kelley/Calley London Brewster and Margaret Stewart (likely of African and Mattakeeset Indian heritage), who settled in Hanson after the Revolutionary War. John London Kelley was baptized by Rev. Gad Hitchcock in the Hanson Congregational Church on 29 April 1786, along with several of his siblings. 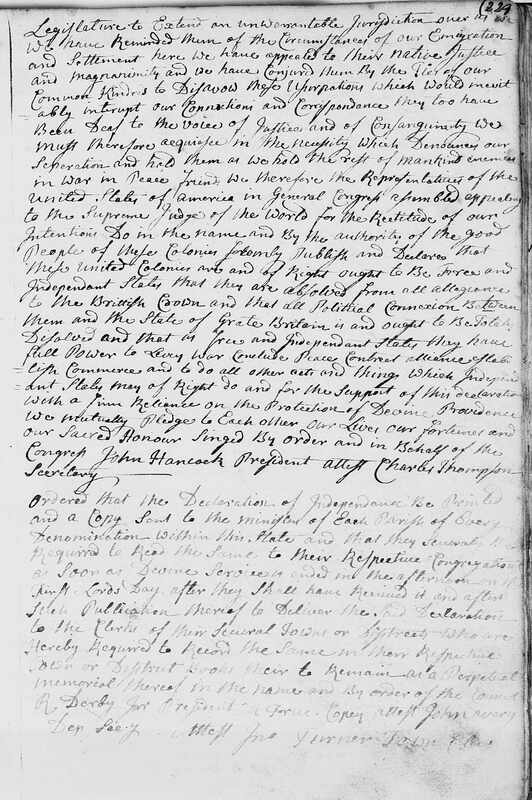 29 April 1786 Baptism of siblings Hannah, Charles, and John, children of Calley and Margaret. They were baptized by Rev. Gad Hitchcock in the Hanson Congregational Church. Susannah Prince had been born in Maine in 1785, the probable daughter of Pembroke “mulatto man” Sylvester Prince and his wife Rhoda Caesar (the daughter of a Marshfield slave father and Wampanoag Indian mother), who returned to the Hanson/Pembroke area during Susannah’s childhood. Summer arrived, and John London Kelley brought in the harvest to support his family, as well as Kilborn Whitman. Grain, root vegetables, and apples lasted the family into the winter. On 7 February 1805, several Pembroke constables forcibly took the Kelleys from their home and brought them before a Plymouth magistrate, who deemed it suspicious that Bates had suddenly disappeared, was last seen at the Kelleys’ home, and that they had some of his clothes. They claimed they had no knowledge of any foul play, but the judge ruled that they should be imprisoned at the Plymouth jail until a trial. Plymouth’s jail at the time was a small wooden building on Court Street, and prisoners were required to provide their own supplies during their stay. The Kelleys were imprisoned for four months “in that cold and inclement season, without money and without friends to soften the rigors of our confinement.” Their juried trial was held in May 1805, in which the judge and jury determined that there was no legal evidence against the Kelleys. Since there was no proof of Benjamin Bates’ death, the Kelleys were released from prison. With their names finally cleared, the Kelleys still faced debts owed from their period of imprisonment, and they turned to the Pembroke selectmen for support. Towns at that time were required to support any impoverished residents, of any color, who had been born there. But despite the fact that both John London Kelley and Susannah Prince had both been raised in Hanson (then Pembroke), neither had technically been born there, so the selectmen refused. However, the selectmen had recently heard that former slaves or children of slaves could sometimes receive support from the state, since it was the Massachusetts government and judicial system that had deemed slavery to be illegal at the end of the Revolutionary War. This tactic didn’t always work, and often the towns or former slave owners in Massachusetts who petitioned the Massachusetts government were denied and ordered to pay for the support of their elderly or impoverished former slaves themselves. This may have happened with the Kelleys’ case, which was withdrawn by the Pembroke selectmen shortly after submitting it in early 1806. 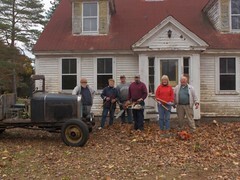 Feeling abused by their Pembroke neighbors, the Kelleys left Pembroke and moved to Maine for several years, where a son Charles was born. They then returned to Plymouth County, where John and Susannah were officially married in Hanover in 1810, and had several more children. They later found more welcoming neighbors in Plymouth, and on Betty’s Neck in Lakeville, which both had Native American and African American communities. Sources: Harvard’s Antislavery Petitions Massachusetts Dataverse, “House Unpassed Legislation 1806, Docket 5794, SC1/SERIES 230, Petition of John London Kelley”; MA Vital Records; Plymouth Court Records Whitman v. John London Kelly; Plymouth County Deeds 101:42 Whitman to Pero. Researched by Mary Blauss Edwards. Boston Gazette (Boston, Mass. ), 14 June 1773. John Turner wore many hats in this process – as town clerk, selectman, and head of Pembroke’s Committee of Correspondence, he wrote the list of instructions he presented at the Massachusetts Assembly following his election as Pembroke’s Representative. However, the Massachusetts Assembly again denied Felix Holbrook’s petition. Additional petitions to abolish slavery were presented to the Massachusetts Assembly throughout the Revolutionary War. Although each petition was denied by the electorate, it generated a great deal of discussion and disagreement among Massachusetts’ politicians and general populace. General support for abolition grew throughout the decade, and in 1783 a series of Supreme Court judicial rulings led to the abolition of slavery in Massachusetts. 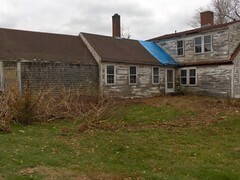 Recently, the Pembroke Historical Commission has held lengthy and ongoing discussions concerning the possible preservation of John Turner’s house, derelict and located behind a gas station on the corner of routes 53 and 14 in Pembroke, as a new fire station is slated to be constructed on the Turner lot. 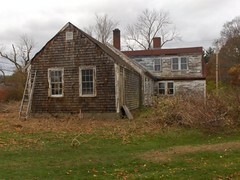 John Turner House, 2013, Photograph Courtesy of Deborah Wall. And what became of Felix Holbrook? He married Lusanna Cato of Scituate, daughter of an enslaved father Caesar Cato/Torrey and Massachuset Indian mother Sarah Wapping, in Scituate’s First Church in 1772. He was manumitted by Abiah Holbrook’s widow, and his family removed to Providence, where he was a founding member of the Providence African Union Society which planned, but never executed, an expedition to bring former slaves to Sierra Leone. 240 years ago, the “shot heard ’round the world” launched the famous battles of Lexington and Concord. Less well-known is a battle that almost came to pass at Marshfield, Massachusetts, where Plymouth County soldiers gathered to fight in the aftermath of Lexington and Concord. Word of the fighting at Lexington and Concord had reached Plymouth County via messengers on horseback by the afternoon of April 19th, 1775. The majority of towns in Plymouth County, including Pembroke (whose west parish later became Hanson) had Patriot sympathies, and many of them immediately gathered their local militias in response. But Lexington and Concord, thirty some-odd miles away, was not the main concern of Plymouth County residents. They had a threat much closer to home: Three months earlier, in January 1775, Marshfield, the only Loyalist center in the area, had invited a British regiment of over one hundred soldiers to lodge in the town. This was in part due to events which culminated in the fall of 1774, when a mob said to include more than 2,000 Plymouth County Patriots gathered in Marshfield to protest Loyalist Nathaniel Ray Thomas. Thomas escaped to Boston in advance of the mob, narrowly missing a possible attack on his life and estate. Marshfield therefore held the unique position of being the only town in Massachusetts, besides Boston, to be occupied by British troops for a substantial period of time before the Revolutionary War began. The presence of the British soldiers in Marshfield, led by Captain Nesbit Balfour, only served to increase tension in Plymouth County between January and April 1775. Plymouth’s Theophilus Cotton led the Plymouth County patriot regiment. He gathered the various town militias at Duxbury, allowing both the 19th and 20th to pass without direct action against Marshfield, hoping to either allow more time for additional town militias to gather, or to allow time to see if the British soldiers would simply return to their larger force at Boston. On April 21st, Cotton led the Plymouth County soldiers near the British garrison at Marshfield, and it was estimated by noon on that day that Cotton had 500 soldiers compared to Balfour’s 100. But still Cotton waited. Kingston’s Captain Peleg Wadsworth “greatly dissatisfied by the delay”, drew his men within firing range of the garrison, but felt his numbers were too small to fire on the British. With additional Plymouth County soldiers gathering around the British garrison, the dramatic siege quickly ended when it was revealed that Capt. Balfour and his soldiers were picked up by boats and brought to Boston. It was later rumored that Balfour claimed “that if he had been attacked, he should have surrendered without a gun”. Although Capt. Wadsworth and many of the Plymouth County soldiers were ready for a fight, no blood was shed at Marshfield that day, compared to the battles at Concord and Lexington in which the colonists suffered the deaths of 49, wounding of 39, and five who were missing, as well as the British who lost 73 soldiers, and had 174 soldiers injured and 26 missing. 49 men from the West Parish of Pembroke gathered under the leadership of Captain James Hatch of Pembroke and joined the march on Marshfield. They served from April 19th until the 29th of April, a total of 11 days. After the hasty departure of the British soldiers from Marshfield to Boston, they left behind supplies which the Plymouth County soldiers confiscated. Patrols were then established to determine that the British would not be returning to their garrison, located on the Nathaniel Ray Thomas estate in Marshfield (later purchased by Daniel Webster). Below is a transcription of Captain James Hatch’s muster roll for his men’s service. The Hanson men were not provided a salary for their service until almost a year later, on 14 March 1776, just as the siege of Boston was coming to an end. Muster Roll of a Company in Minute Men that Marched from the West Parish of Pembroke to Scituate and Marshfield, on the Alarm of 19th of April, 1775. Length of service 19 April to 29 April, 11 days. Captain [£6 per month]. James Hatch. Lieutenants [£2.8 per month]. Consider Cole, 1st Lieutenant[£4 per month]. 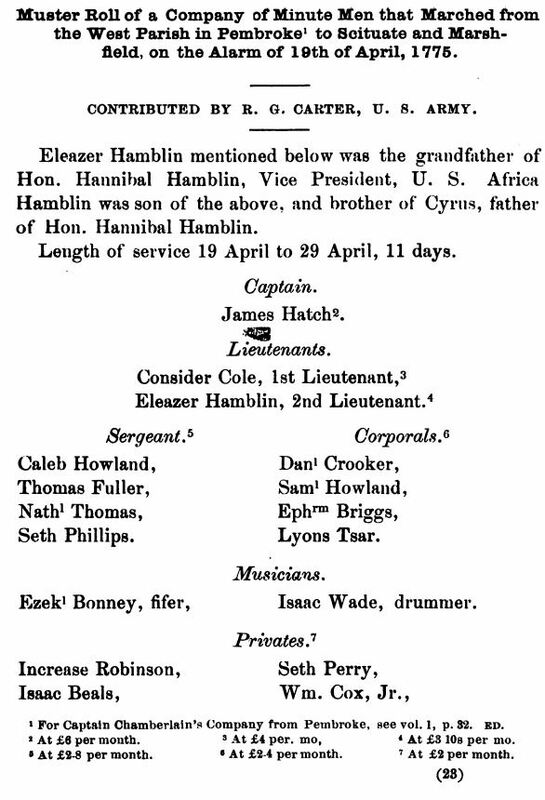 Eleazer Hamblin, 2nd Lieutenant [£3 10 s per month]. Sergeant [£2.4 per month]. Caleb Howland, Thomas Fuller, Nathaniel Thomas, Seth Phillips. Corporals. Daniel Crooker, Samuel Howland, Ephraim Briggs, Lyons Tsar. Musicians. Ezekiel Bonney, fifer. Isaac Wade, drummer. Privates [£2 per month]. Increase Robinson, Isaac Beals, Seth Perry, William Cox Jr., Isaac Moore, Isaac Phillips, Christopher Phillips, John Stutson, Isaac Bonney, Reuben Clark, Elijah Cushing 3d, Daniel Child, Eleazer Bisby, David Beals, Leonard Hill, Benjamin Munroe, Thomas Lincoln, Lot Phillips, Ephraim Lindsy, Abraham Josselyn Jr., William Bonney, William Gould, Benjamin Guilliam, Seth Cox, Africa Hamblin, Alexander Soper, Daniel Garnet Jr., William Hayford, Richard Baker Jr., Hezekiah Pearce, Samuel Harden, Jonathan Bonney, Abijah Levett, Gershom Ramsdall, Samuel Gorham, Charles Jewett, Tilden Crooker. 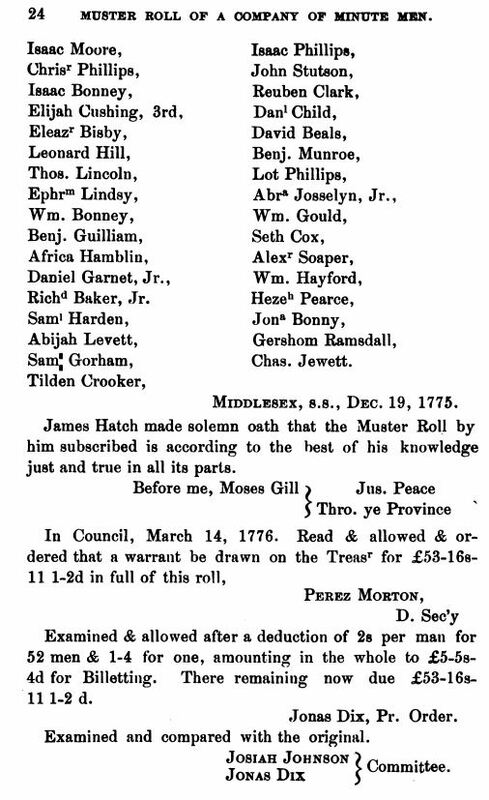 Citation: R. G. Carter, “Muster Roll of a Company in Minute Men that Marched from the West Parish of Pembroke to Scituate and Marshfield, on the Alarm of 19th of April, 1775”, Putnam’s Monthly Historical Magazine and Magazine of New England, Vol. 4 No. 1 (January 1896): 23-24. Centuries before the 24/7 news cycle and instant access to global events, do you know how the American colonists came to learn that independence from England had been declared by the Continental Congress? On July 2, 1776, the Continental Congress voted to declare independence and formed the new nation of the United States of America. The Declaration of Independence, written by Thomas Jefferson and edited by Congressional members, was written to provide an explanation for why Congress chose to vote for the revolutionary decision, and the document was ratified two days later on July 4, 1776. After its ratification, Congress ordered the publication of a broadside containing the text of the declaration and arranged for its distribution throughout the colonies. Since the date published on the broadside was July 4, 1776, that date came to represent Independence Day. John Adams, however, wanted July 2nd – the date of the vote – to represent the celebration of Independence Day. The broadsides were distributed far and wide by messengers on horseback and copied in newspapers in all thirteen states. John Hancock sent a broadside to George Washington, who read it to his army at New York on 9 July 1776. The news distributed throughout the newly formed states during the month of July and reached England by August 1776. Ordered that the Declaration of Independence Be Printed and a Copy Sent to the minister of Each Parish of Every Denomination Within this State and that they Severaly [sic] Be Required to Read the Same to their Respective Congregations as Soon as Devine Service is ended in the afternoon on the First Lord’s Day after they shall have Received it and after such Publication thereof to Deliver the said Declaration to the Clerks of the Several Towns or Districts who are Hereby Required to Record the Same in the Respective Town or District Books there to Remain as a Perpetual memorial thereof in the name and By order of the council. From Pembroke, Massachusetts’ copy of the Declaration of Independence. From Pembroke Town Meeting Minutes. Originals held at Pembroke Town Hall. Image courtesy of Family History Library. Richard Derby Jr.’s order that the Declaration of Independence be sent, read, and recorded by each Massachusetts town ensured that each community gathered together to learn that they were no longer British colonists, but citizens of the United States of America. Derby’s father, Richard Derby Sr. also played a major role in the distribution of news throughout the Revolutionary War. Derby Sr. was a merchant ship owner from Salem, owner of the schooner Quero which was sent to England immediately following the Battle of Lexington and Concord to offer the patriot version of the battle, which arrived two weeks in advance of the heavier and slower brig Sukey that carried the British army report. Derby’s ships then brought back to America the first news of London’s response regarding the start of the Revolutionary War. Derby’s ships also later brought the news to America detailing the Treaty of Paris, which ended the Revolutionary War in 1783. At a town meeting held at the Pembroke Meeting House on Monday the 29th of July 1776, the Pembroke town clerk John Turner recorded the Declaration of Independence in the town records. At the time Pembroke also included the area which later became the town of Hanson, Massachusetts. Per Derby’s instruction, the Declaration of Independence was read at the First Congregational Church by Rev. Thomas Smith, and at the Second Church in the Pembroke West Parish (today the Hanson Congregational Church) by Rev. Gad Hitchcock. Just two years prior, Rev. Hitchcock had delivered the patriotic election sermon in Boston’s Old South Church to an audience including the controversial Massachusetts Governor Thomas Gage. Hitchcock pointedly sermoned from Proverbs 29:2 “When the righteous are in authority, the people rejoice: but when the wicked beareth rule, the people mourn.” It was said that Hitchcock later joked that his election sermon was a “moving discourse, inasmuch as it moved many of the [Loyalist] congregation out of the house”. The Declaration was perhaps also read at the Pembroke Friends Meeting House at a gathering of Quakers. Since Pembroke town clerk John Turner recorded the Declaration at a town meeting on Monday, it was probably publicly read either the day before at the various churches on Sunday, July 28th, or the previous Sunday, July 21st. It was read aloud to the public in Boston at the State House on Thursday, July 18th. 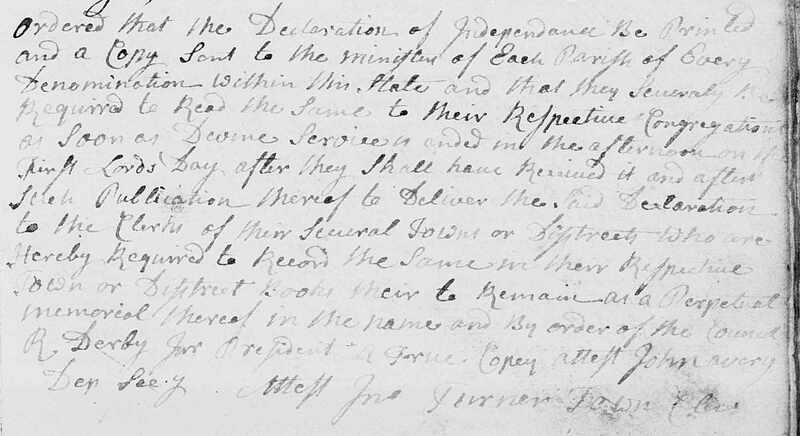 The Pembroke town meeting on July 28, 1776 included the important work of recording the Declaration of Independence as a “perpetual memory” with two other items on the agenda. 10 men had enlisted in Pembroke to serve in the Revolutionary War on a mission to attempt to gain control of Quebec. The state offered a seven pound bounty reward to every soldier who enlisted, so the citizens of Pembroke voted to raise £80 through a tax on the town to provide an additional town bounty for £8 per man “making a bounty of 15 pounds in the whole”. Pembroke citizens also voted to raise £120 to repay the money hired by a committee for a bounty paid to Pembroke men who were sent to New York the previous year. Below are the pages from the town meeting minutes of the reading of Pembroke’s copy of the Declaration of Independence, as recorded by town clerk John Turner. It must have been an incredible moment for Turner, who headed the Pembroke Committee of Correspondence which wrote the “Pembroke Resolves” in 1772 calling for the separation from Great Britain. 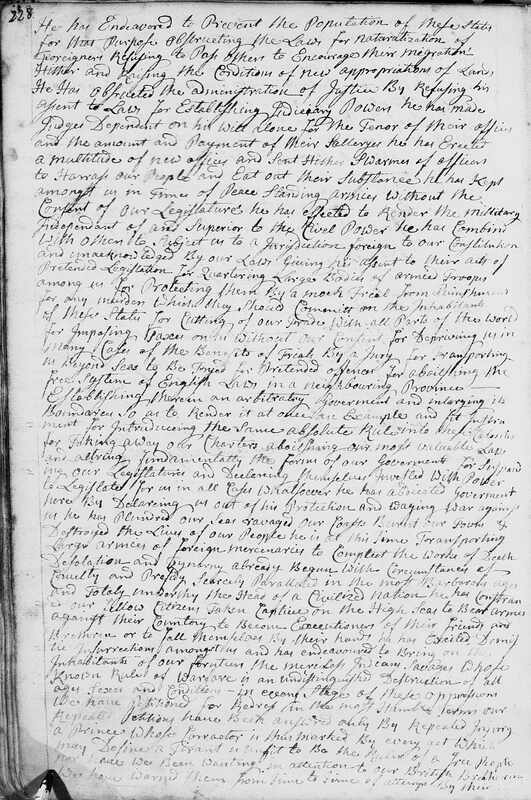 First page of Pembroke, Massachusetts’ copy of the Declaration of Independence. From Pembroke Town Meeting Minutes. Originals held at Pembroke Town Hall. Image courtesy of Family History Library. Second page of Pembroke, Massachusetts’ copy of the Declaration of Independence. From Pembroke Town Meeting Minutes. Originals held at Pembroke Town Hall. Image courtesy of Family History Library. 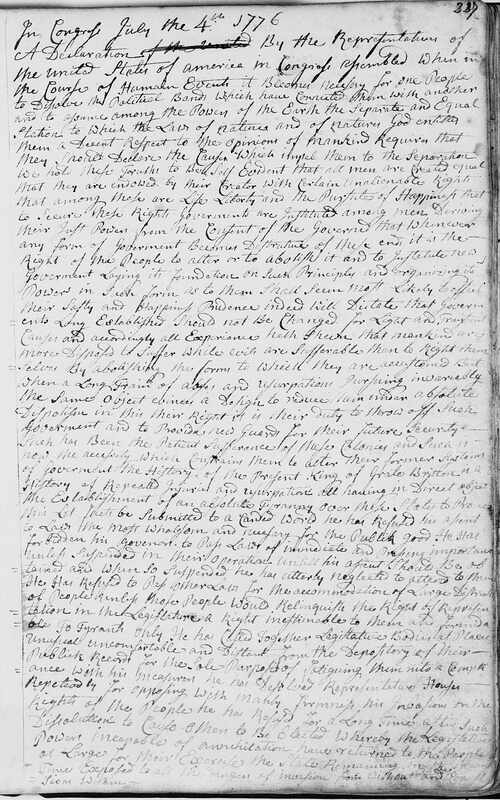 Third page of Pembroke, Massachusetts’ copy of the Declaration of Independence. From Pembroke Town Meeting Minutes. Originals held at Pembroke Town Hall. Image courtesy of Family History Library. 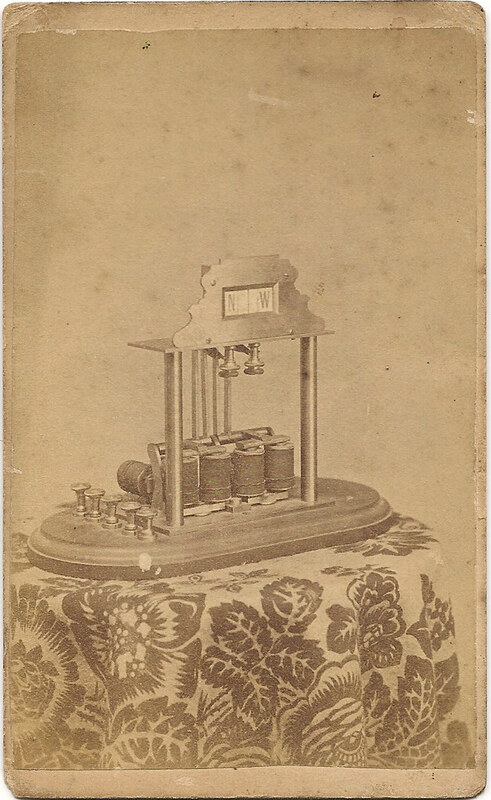 The Hanson Historical Society’s photograph collection includes an unlabeled photograph of this interesting object, and we are hoping to use the power of crowd sourcing to identify it! Does anyone know what this object is, sitting upon a table? The letters “N” “W” are inscribed along the top. ID’ing the object might also help to date this image as well. Thanks, history detectives! Lloyd Sumner Josslyn, 82 years old, in South Hanson after a ride from Hingham. May is Bicycle Month, so this month’s object is a wonderful photograph of Lloyd Sumner Josselyn and his bicycle. Lloyd was born in Pembroke on 8 September 1859, the son of David A. and Sophronia F. (Keene) Josselyn. He married in Boston on 6 August 1902, Elizabeth Weston Drake, and they settled in Hanson. 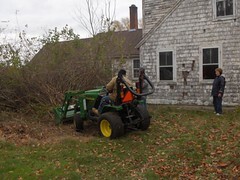 This photograph shows 82 year old Lloyd Sumner Josselyn in South Hanson, Mass. ca. 1942. He had “just returned from a bicycle trip to Hingham”. 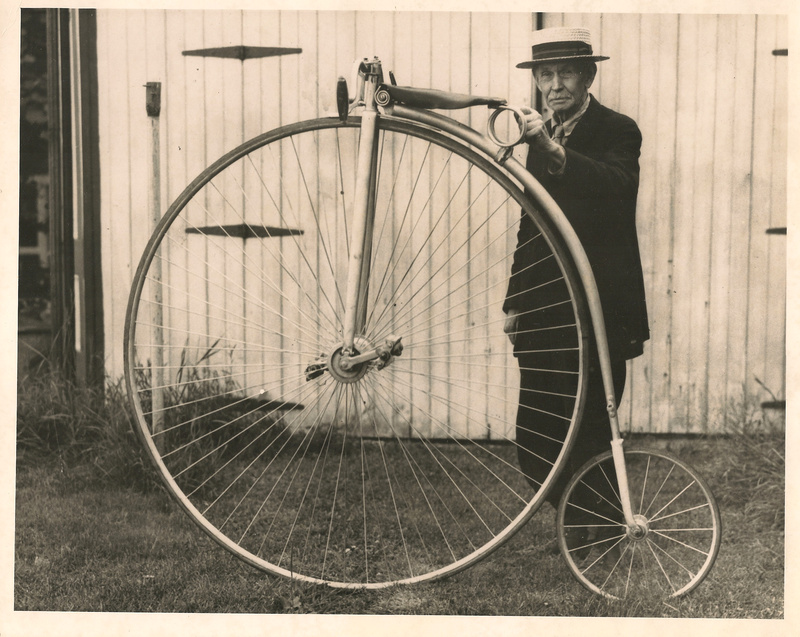 His bicycle was a “52 inch wheel, completely nickel plated, ball bearing equipped and with a patent brake arrangement. It cost $150”. The photograph was donated to the Society by Roland Josselyn on Dec. 27, 1973. In honor of Women’s History Month, March’s Object of the Month will focus on a photograph collection of former Hanson Historical Society member Maud(e) Gilbert (Brewster) Bodell Gorham. Our archives contain a wonderful small collection of photographs and tintypes of the family members and friends of Maud(e) Gilbert (Brewster) Bodell Gorham of Hanson (1891-1978), which have been digitized and are available on the Hanson Historical Society’s Flickr. Early records list her name as Maud (including her birth and first marriage records), later records list her name as Maude (including her second marriage and death records). Maude was born and raised in Hanson; she married twice and had two children. The Hanson Historical Society also has another collection of the Maude Gilbert (Brewster) Bodell Gorham Family Papers, the majority of which is documentation regarding the death of her son Brandon Brewster Bodell, age 31, during World War II, including his Bronze Star and Purple Heart medals. 1. Maud(e) Gilbert Brewster was born in Hanson, Plymouth, Massachusetts, 12 June 1891, daughter of Henry Gilbert and Florence Eveline (Tirrell) Brewster. [] She died in Pembroke, Plymouth, Massachusetts, 22 September 1978. [] She married first in Kingston, Plymouth, Massachusetts, 17 August 1911, by H. S. Kilborn, James Gray Bodell. [] He was born in Philadelphia, Philadelphia, Pennsylvania, 27 June 1889, son of Franklin and Hannah (Gray) Bodell. [] He died in Grafton State Hospital, Grafton, Worcester, Massachusetts, 1957. [] From at least 10 April 1930 until 1935 he was a psychiatric patient at the Taunton State Hospital, Taunton, Bristol, Massachusetts, and in 1940 until his death was a patient at the Grafton State Hospital. [] At the time of their marriage, Maude Brewster was a clerk residing in Hanson and James Bodell was a conductor residing in Plymouth. In the 1914 Hanson directory, James G. Bodell was listed as a conductor for the Brockton and Plymouth Railway, boarding with his family in a house on Main Street near Pleasant Street in South Hanson. They probably were divorced or separated by 5 June 1917, when James listed his marital status as “single” for his World War I Draft Registration and was residing in 18 Davis St., Plymouth, working as a cloth examiner at Standish Worsted Company in Plymouth, described as medium height, medium build, dark blue eyes, dark brown hair. She married second, as his second wife, in Hanson, 21 July 1927, by John E. Berry, Hubert Aubrey Gorham. [] He was born in East Harwich, Barnstable County, Massachusetts, 31 October 1872, the son of Ephraim A. and Marietta (Rogers) Gorham. [] He died of cancer in Hanson, 16 February 1940. [] At the time of their marriage, Hubert was a cranberry grower, and Maud was a telephone operator, and both were listed as divorced from their former spouses. He married first in Hanson, 30 June 1898, by Ezra N. Smith, Annie T. Damon. [] She was born in Hanson, 11 February 1874, the daughter of Elijah Damon and Phoebe S. Besse. [] At the time of Hubert and Annie’s marriage, he was a laborer and she was a teacher. Annie was formerly a teacher at Primary Schoolhouse #4, now the headquarters of the Hanson Historical Society [see the Hanson Historical Society’s Primary Schoolhouse #4 exhibit]. Hubert was initiated into the Phoenix Lodge of the Massachusetts Masons on 18 September 1919, and remained a member until his death. i. Brandon Brewster Bodell, b. 11 Aug. 1913; d. near Metz, France, 29 Sept. 1944. He graduated from the Massachusetts Institute of Technology. He was a surveyor prior to the war. He enlisted as a soldier for World War II in Boston on 19 March 1942. At the time of his enlistment, he was 72” tall and weighed 191 pounds. He was a first lieutenant, in 558th FA Bn, C Battery, army service no. 1170656. Gilbert Hahn reflected on Bodell’s death in The Notebook of an Amateur Politician: And how He Began the D.C. Subway: “We stayed outside of Metz for this forty-five day period. During that time, some of my pals, the other lieutenants in the battalion, took their guns for direct lay missions on the various forts around Metz. My friend Bryce Bowmar, in a heroic episode, fired into those forts at one thousand yards. (He is mentioned in Stephen Ambrose’s book Citizen Soldier.) My other friend who did the same thing, Brandon Bodell, was killed. The concept of the direct lay missions was not ideal, because with separate loading ammunition, a shell from a machine gun or mortar could explode the powder bag (that had to be kept at the gun), so it was highly dangerous”. ii. Gertrude E. Bodell, b. 21 Sept. 1915. She married several times and was a beautician. Maud Gilbert Brewster birth record (1891), 413:561, Massachusetts Vital Records, 1841-1915. Maude G. Gorham indexed death record (1978), Massachusetts Death Index, 1970-2003 (www.ancestry.com); Maude Gorham indexed death record (1978), Social Security Death Index. James G. Bodell and Maud G. Brewster marriage record (1911), 604:205, 604:213, 604:241, Massachusetts Vital Records, 1841-1915 (www.americanancestors.org). James Gray Bodell World War I Draft Registration Card (1917), World War I Draft Registration Cards, 1917-1918 (www.ancestry.com). James Bodell indexed death record (1957) 52:124, Massachusetts Death Index, 1901-1980 (www.ancestry.com). Taunton State Hospital, 1930 U.S. Census, Ward 8, Taunton, Bristol County, Massachusetts, roll 894, page 8A; Grafton State Hospital, 1940 U.S. Census, Grafton, Worcester County, Massachusetts, roll 1650, page 6B. 1914 Hanson Directory (www.ancestry.com), 136. Male Gorham birth record (1872), 241:14, Massachusetts Vital Records, 1841-1915 (www.americanancestors.org). Hubert A. Gorham death record (1940), Massachusetts, Town Vital Collections, 1620-1988 (www.ancestry.com). Hubert A. Gorham and Annie T. Damon marriage record (1898), 479:565 and 479:589, Massachusetts Vital Records, 1841-1915 (www.americanancestors.org). Annie T. Damon birth record (1874), Massachusetts, Town Vital Collections, 1620-1988 (www.ancestry.com). Hubert Aubrey Gorham Mason Membership Card, Massachusetts: Grand Lodge of Masons Membership Cards, 1733-1990 (www.americanancestors.org). Henry G. Brewster household, 1920 U.S. Census, Hanson, Plymouth County, Massachusetts, roll 726, page 8A. Hubert A. Gorham household, 1930 U.S. Census, Hanson, Plymouth County, Massachusetts, roll 940, page 9B. Maude G. Gorham household, 1940 U.S. Census, Hanson, Plymouth County, Massachusetts, roll 1638, page 62A.